PayPal Checkout comes with Smart Payment ButtonsTM that present shoppers with the most relevant online payment methods. With one integration, you can give customers the option to pay with PayPal, Venmo, PayPal Credit*, and major credit cards and debit cards - on almost any device. With One TouchTM, your customers can skip the PayPal login and quickly complete their purchase. Tap into Venmo's highly engaged mobile user base and increase your brand exposure when customers share their purchases on the Venmo social feed. PayPal Credit lets you offer easy financing options, so your customers can buy now and pay over time, while you get paid up front. helping boost your sales conversion and reduce shopping cart abandonment. 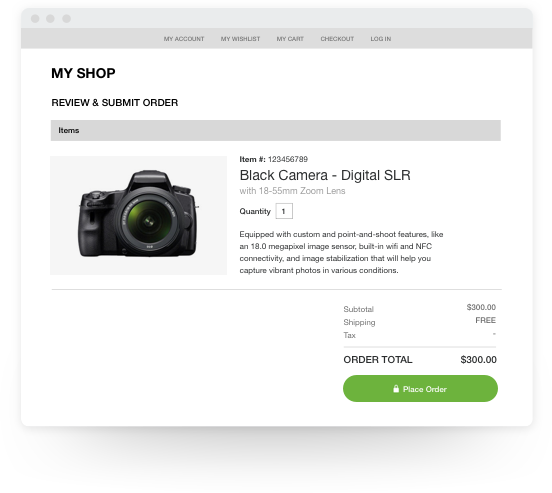 PayPal passes customer contact and shipping details to you so buyers can check out without needing to complete forms on your site. Your shoppers + our insights. 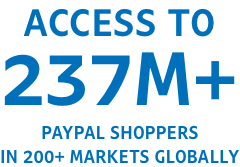 When you integrate PayPal Checkout, you can also use PayPal Marketing Solutions. It gives you deep insights about how PayPal customers shop on your website and other tools designed to help you sell more. Simple, transparent pricing with no monthly fees. No setup or monthly fees. You only pay when you get paid. The funds show up in your PayPal Business account usually within minutes. 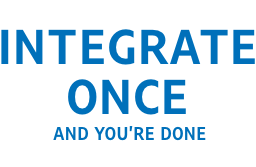 A single integration that adapts for the future. Once you add PayPal Checkout to your site, we keep it up to date so there's nothing else you need to do. 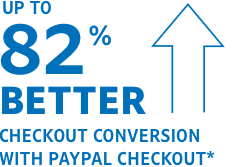 We recommend working with a web developer or an ecommerce platform provider to integrate PayPal Checkout with your site. The first step is to sign up for a PayPal Business account. 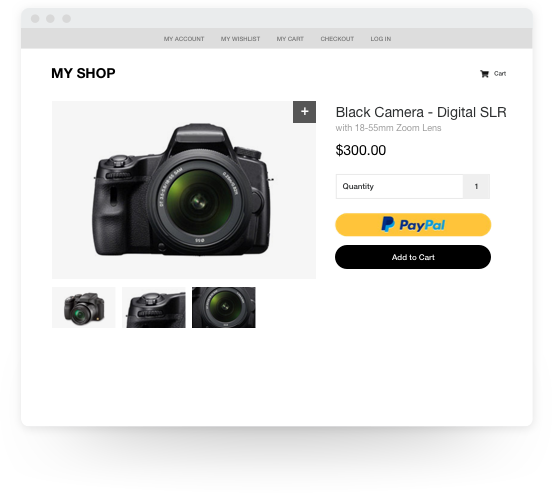 Then, you can work with one of the ecommerce platform providers that already has PayPal Checkout integrated into their platform. 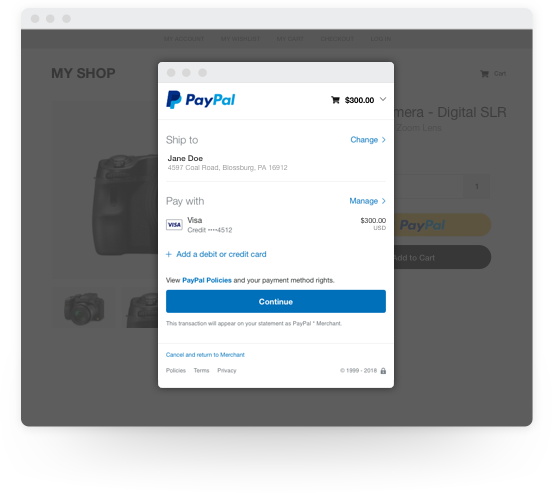 Or, work with a developer to integrate PayPal Checkout with your website. Call: 1-800-514-4920 to talk to an expert about customized solutions. What are Smart ButtonsTM and how do they work? What is PayPal Marketing Solutions? Can I use PayPal Checkout to accept donations? If I already have a Business account, how do I get PayPal Checkout? 6 ways to help increase conversion rate and reduce abandoned carts when selling online. Looking for other ways to accept cards online? We have two alternative options to accept credit cards based on what works best for your business. Within about 15 minutes, you can add a Buy Now, Add to Cart, or Donate button to your website. It's as easy as copying-and-pasting a few lines of code. Create a more advanced, fully customized experience. This option requires a developer.